The Irish College is happy to help couples celebrate the sacrament of marriage in our recently renovated College chapel (www.irishcollege.org/college-chapel) or in our parish Church, the Baptistry of St John the Baptist. 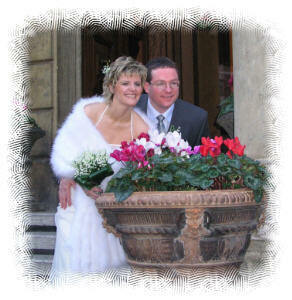 You may book individual marriage ceremonies on Monday, Tuesday, Thursday or Friday each week. As soon as you decide to celebrate your wedding in the Irish College you should verify that the date you have chosen is available by contacting us via fax (+39 06 77.26.33.23) or e-mail (weddings@irishcollege.org).